2018 have been a good year for us. and recently got the chance to do a high profile animation series,which will air on Netflix. We are still focusing on getting Myanmar dubbing on the way. And our team is ready to tackle any job you might have. From a single eps, to 100 hour output pr month. Whatever you want, we are ready and have the resources in place. 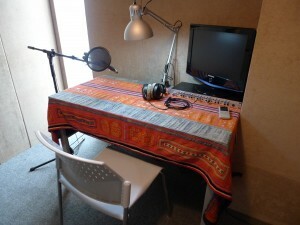 We focus on quality dub, with comprehensive and creative translations. In our experience, translators are an essential part of a quality dubbing team. Our voice talents are experienced, and we always make a huge effort to match the voices perfectly. And we have specialized singers and song writers on the team, who makes any song come alive. – Live Action, series and programs. As well as, TVC – IVR – E learning – White boards – Internet speaks. Whatever your needs are, we can handle it. We do prefer to handle the whole process, incl translation and mix. translators and voice talents through out the process. Please contact us for a quote or a sample. We can also do a short sample for free if you prefer that.